Tales of mountains and forests. Kancamagus Highway, New Hampshire, USA. 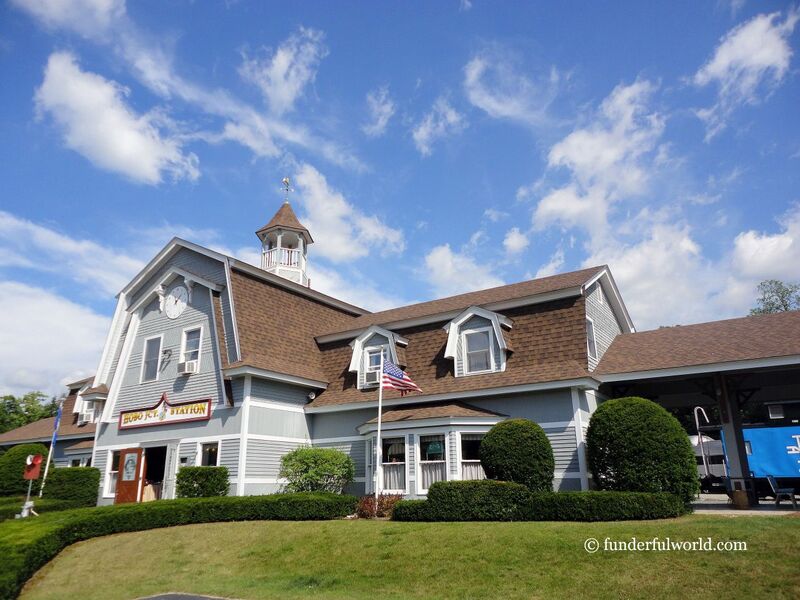 Our vacation in the New England region had brought us to the granite state, New Hampshire. 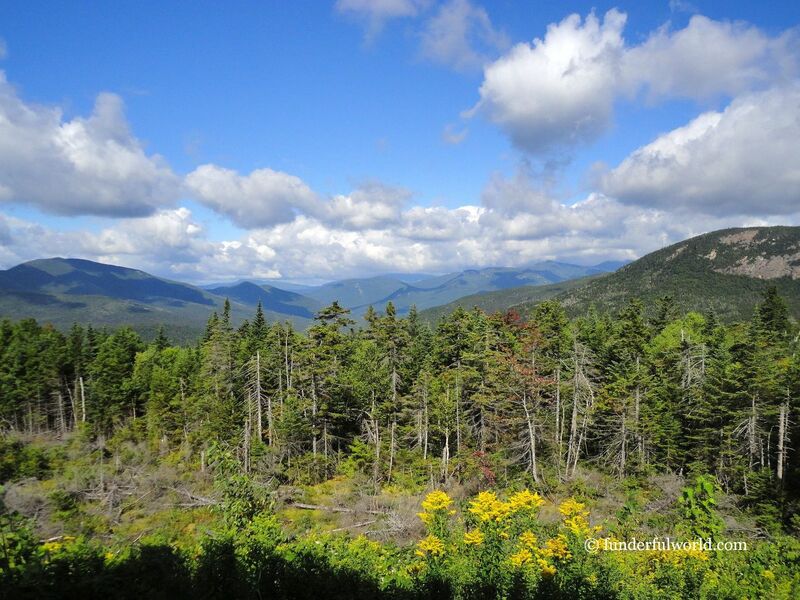 The land of the White Mountains, green forests, and blue rivers and lakes. Over the next few days, our base camp would be in Plymouth. And we would set out from there to explore the beautiful state. Aboard the Hobo Railroad, we would chug through picturesque settings in Lincoln, a town in the White Mountains. 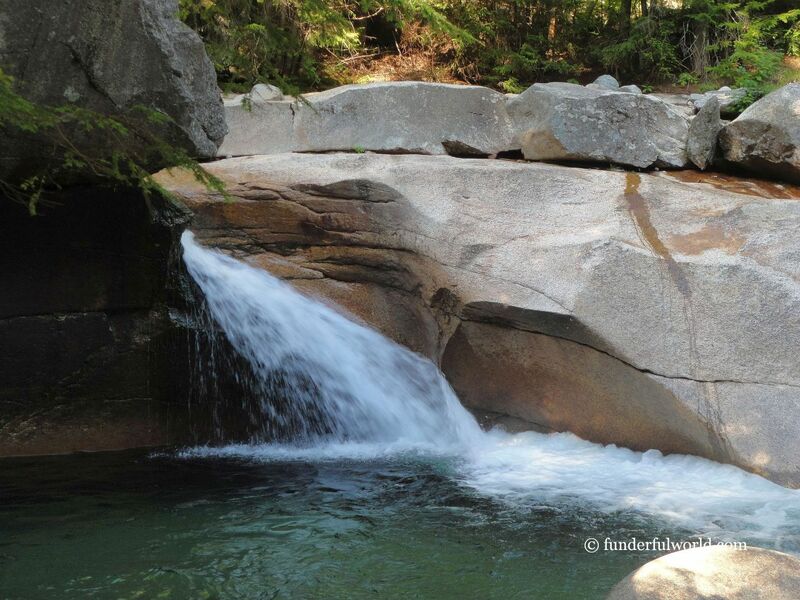 We would hike along short trails and dip our toes in icy water (and scream out in shock!) while heading toward the Basin in Franconia Notch State Park. 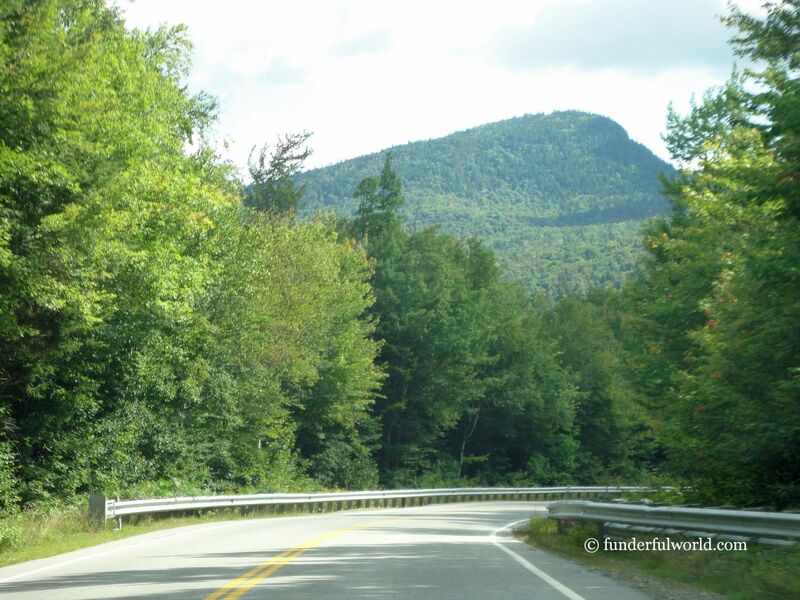 We would witness spectacular scenery as we drove along the Kancamagus scenic highway. 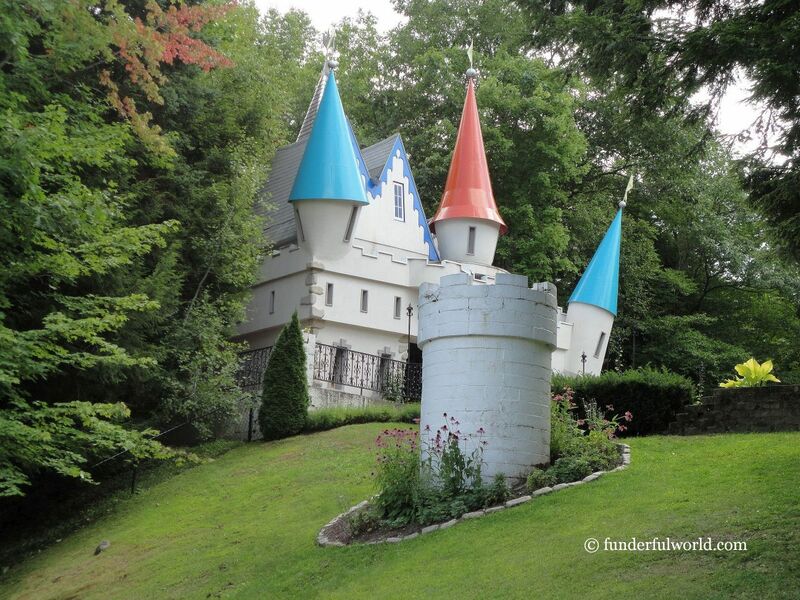 And we would have some good old-fashioned family fun at Story Land, the amusement park in Glen. We checked-in at our accommodation in the town of Plymouth, home to Plymouth State University. 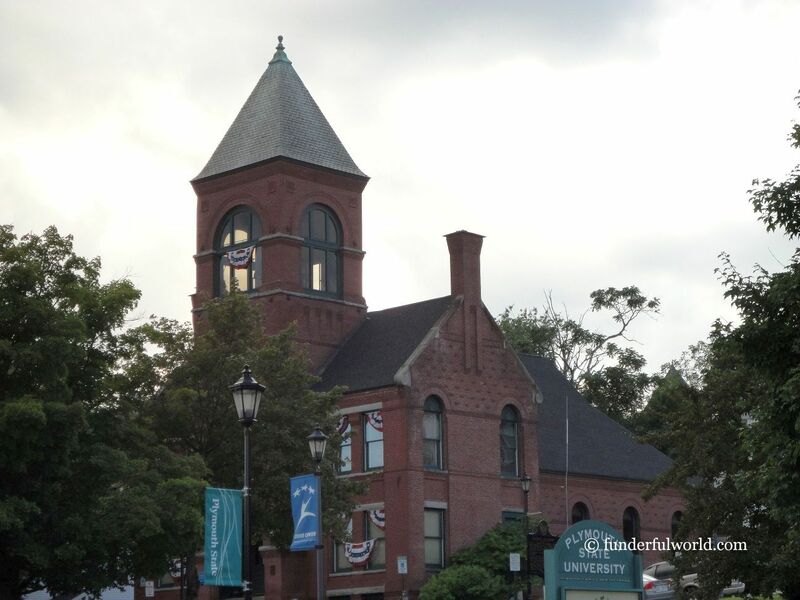 A leisurely evening walk around the town served as a great start to our exploration of New Hampshire. A seat for each of us. Plymouth, New Hampshire, USA. 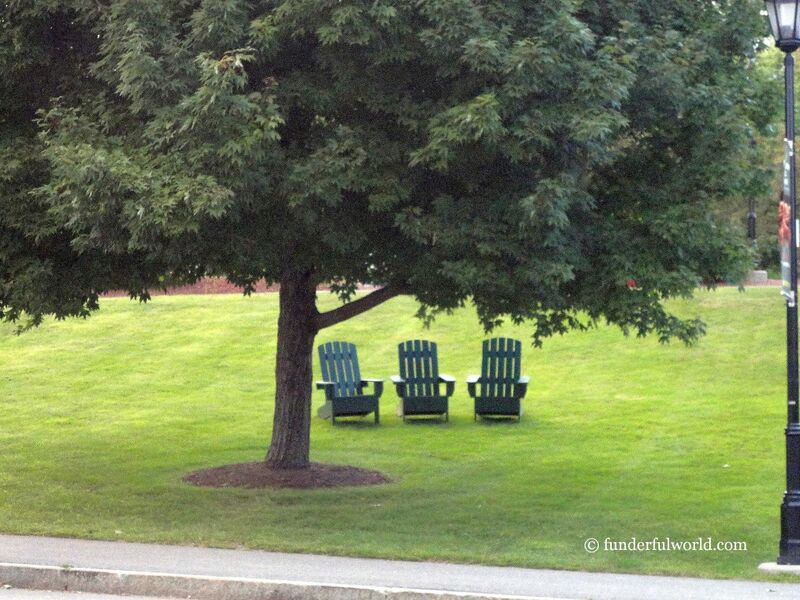 Plymouth State University, New Hampshire, USA. Come Be a Hobo for the Day”. The welcome sign at the Hobo Jungle playground beckoned warmly. Junior didn’t stop to read it. He rushed into the play area and was soon having a great deal of fun on all the wonderful equipment there. When it was time for the train ride on the Hobo Railroad, we hurried and entered a compartment. Settling down near the big windows, we waited for the journey to unfold. The train made its way through a picturesque route along the Pemigewassett River. The horn tooted and the bell rang as we left Hobo Junction, crossed a bridge, passed beautiful golf greens, and spotted traffic on the highway at some places. A clown entertained the passengers and twisted balloons into various shapes for the young folks – Junior was delighted to get a car-shaped balloon, while B (the bigger kid!) got a dinosaur. Holding on to his “car”, Junior enjoyed the rest of the ride as our train gradually returned to Hobo Junction. Rushing in to play. Hobo Jungle, Lincoln, New Hampshire. The Hobo Railroad Junction. Lincoln, New Hampshire, USA. Junior’s favorites. 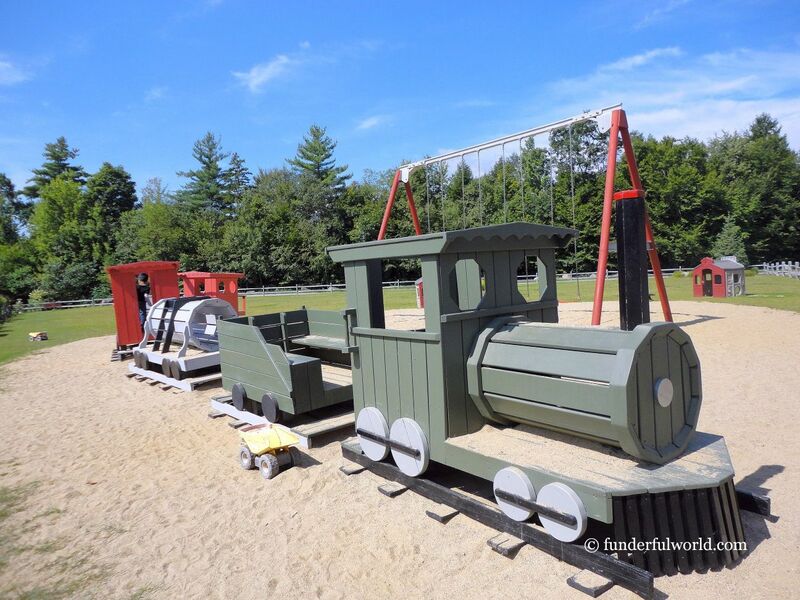 Hobo Railroad, Lincoln, New Hampshire, USA. Through the windows. 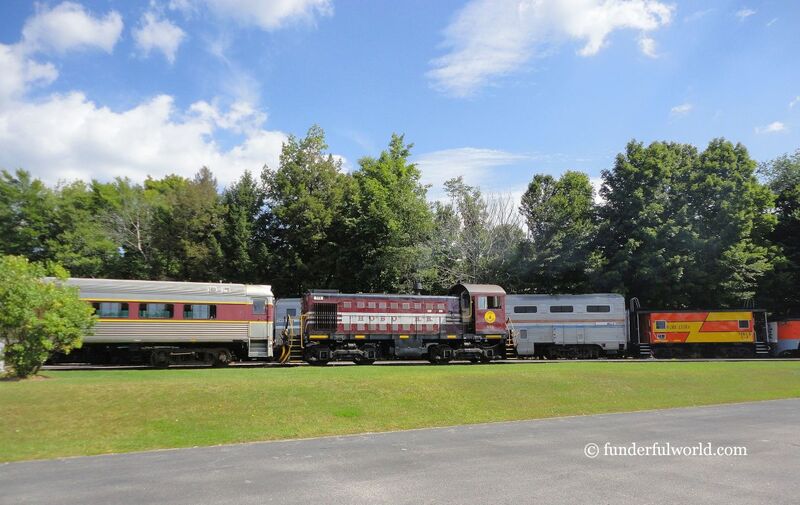 Chugging along on the Hobo Railroad, Lincoln, New Hampshire. Golf greens. Through the windows on the Hobo Railroad. Lincoln, New Hampshire. 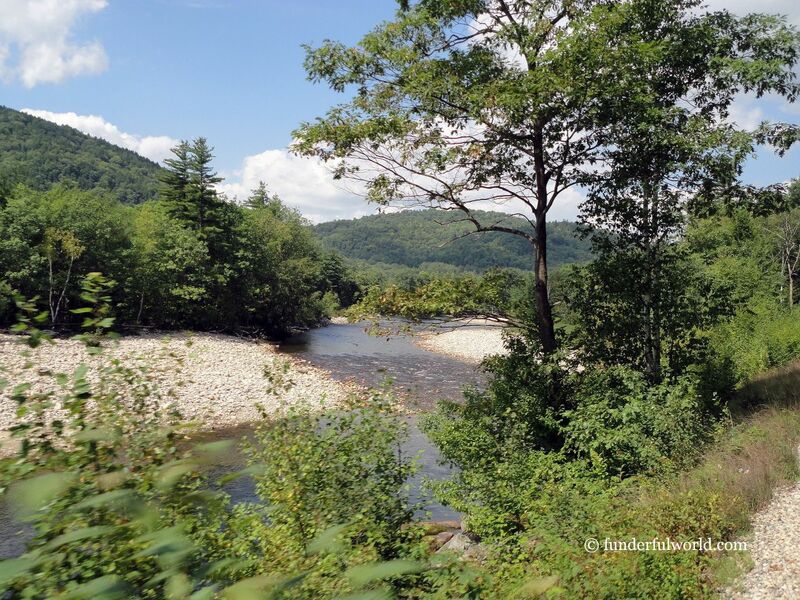 Not too far away from the Hobo Railroad in Lincoln is the picturesque Franconia Notch State Park. 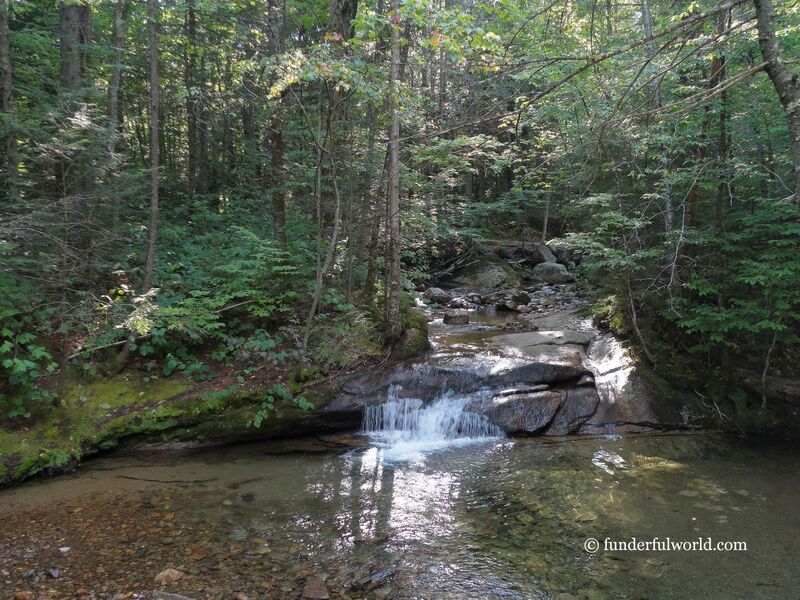 We picked the trail to the Basin, an easy path with beautiful views of waterfalls, streams, and tall conifers all along. The Basin is a waterfall formation with an intriguing shape formed by erosion. Along the trail, we dipped our feet into the inviting waters of a stream, only to recoil in shock at the striking chill that almost numbed our toes. The trail to the Basin. Franconia Notch State Park, New Hampshire. The Basin. 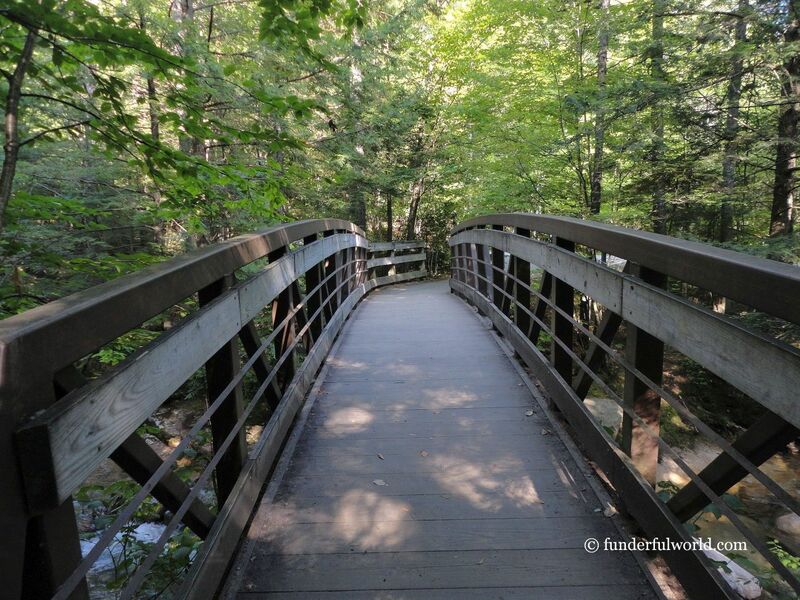 Franconia Notch State Park, New Hampshire. Step in for some exciting moments. Franconia Notch State Park, New Hampshire. After a train ride on the Hobo Railroad and a hike to the Basin, a car ride was next on our agenda. 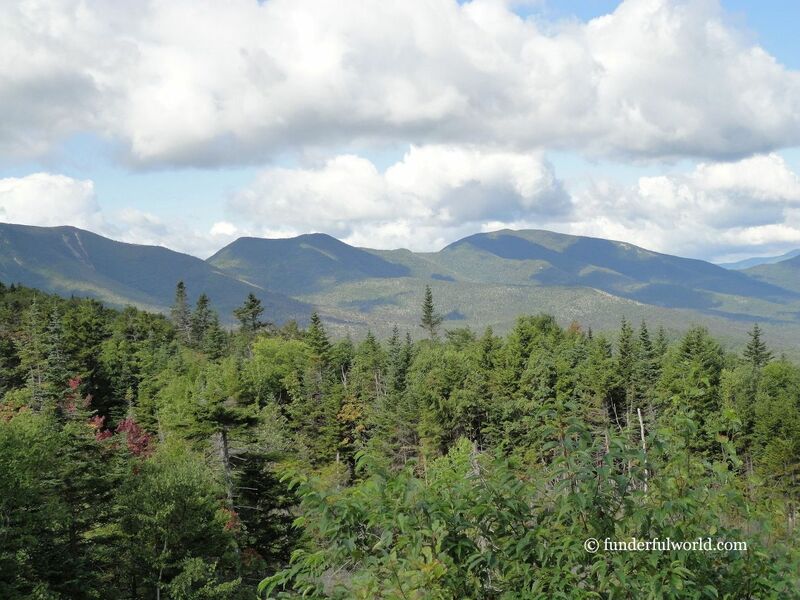 For an immersive experience of New Hampshire’s forests and mountains, we drove along the Kancamagus Highway. 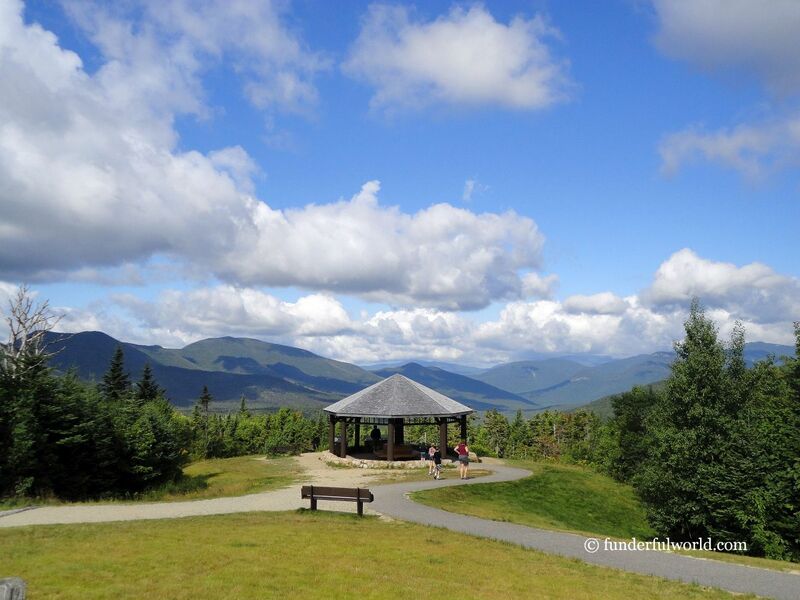 The scenic route winds through the White Mountain National Forest and offers spectacular vistas along the way. 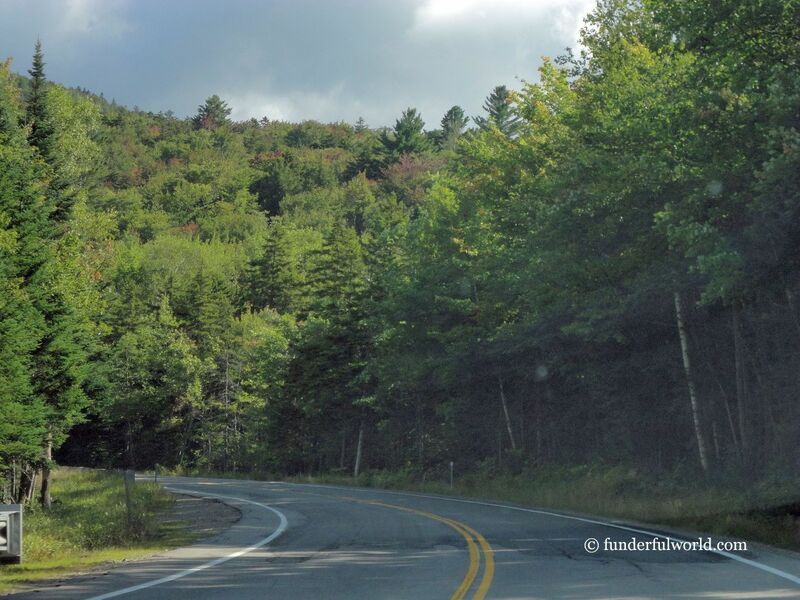 The scent of pine, the force of a strong breeze, the panoramic view of the mountains — this drive sums up the New Hampshire experience. On our way! Kancamagus Highway, New Hampshire, USA. Where heaven meets earth. Along the Kancamagus Highway, New Hampshire. Blue, green, and some yellow, too! Kancamagus Highway, New Hampshire, USA. 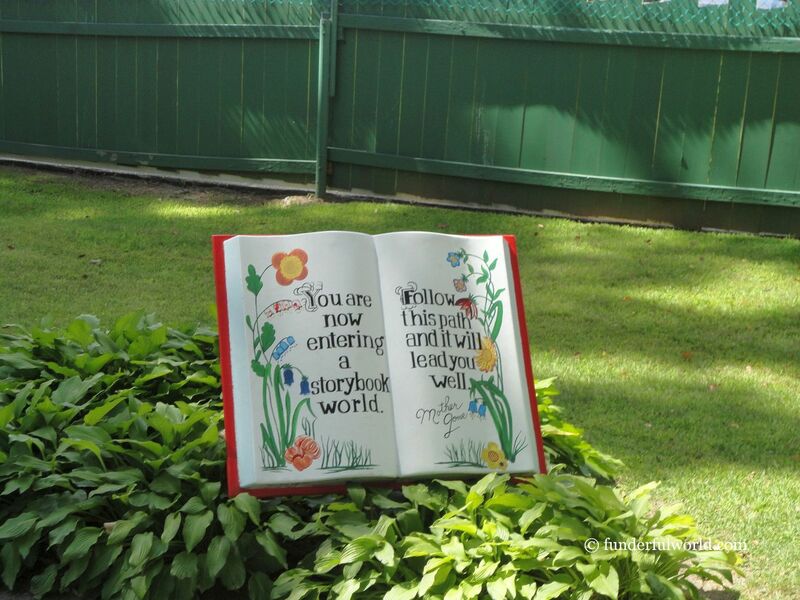 For a relaxed finale, we headed to Story Land, a theme park in Glen. From Mother Goose to the Old Woman in the Shoe, from the Three Bears to Alice in Wonderland, many well-loved characters from popular stories and nursery rhymes were ready to entertain kids and their parents. 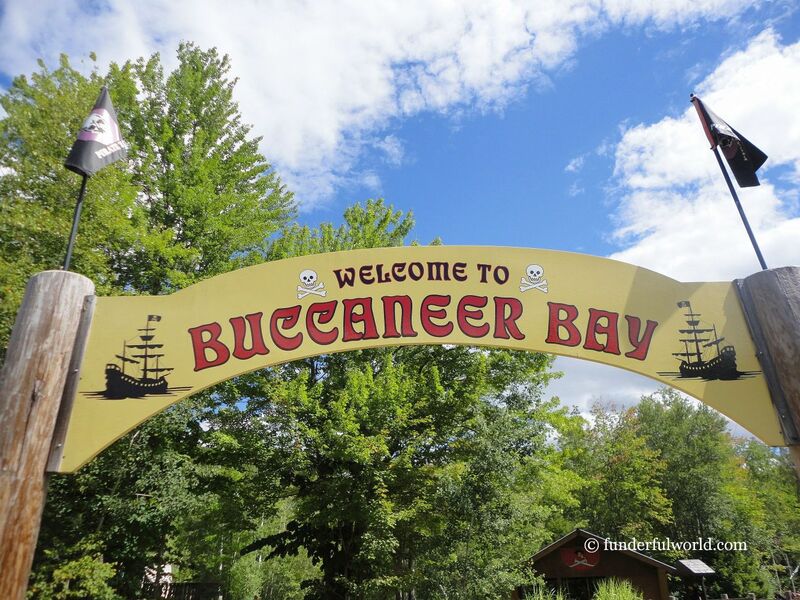 While Junior squealed in the Tea Cup Ride, his heart soared at the sight of the Buccaneer Bay. Our little pirate rushed into the ship and then ran toward the fort while putting up a brave fight. Away from the pirate scene, we visited a castle and rode in a pumpkin coach. A polar coaster had the entire family in high spirits. A crazy barn ride added a madness quotient to the fun-filled day. Entering a storybook world. 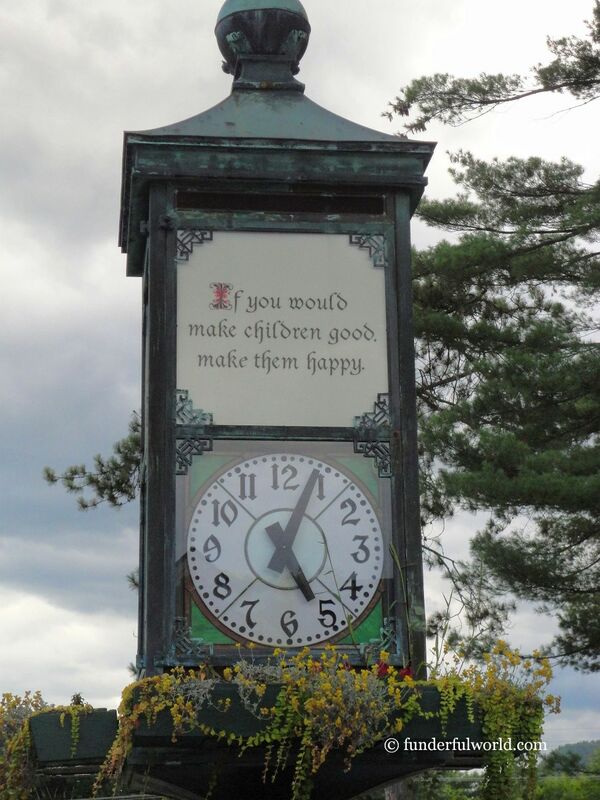 Story Land, Glen, New Hampshire. Whose castle is it anyway? Story Land, Glen, New Hampshire. Pirate territory. Story Land, Glen, New Hampshire. Beautiful setting for a theme park. Story Land, Glen, New Hampshire. Happiness is in the air! 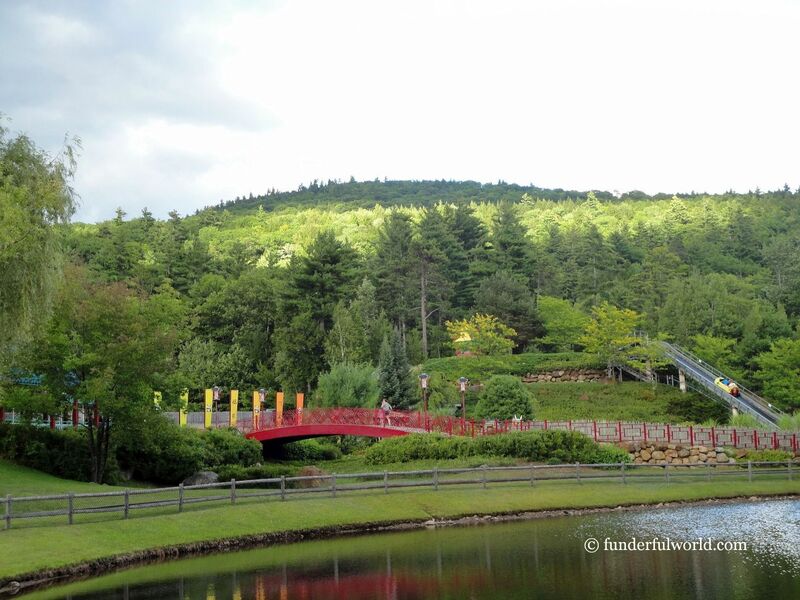 Story Land, Glen, New Hampshire. 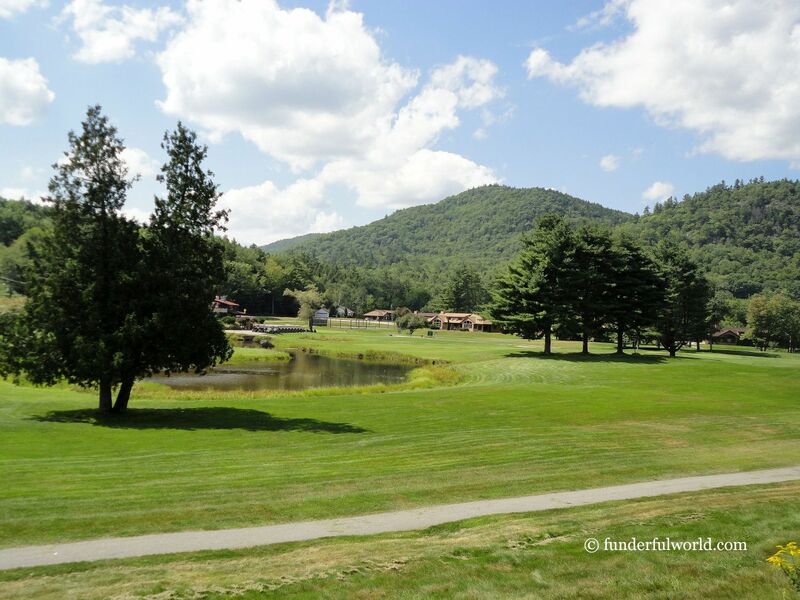 New Hampshire is a beautiful state – popular for winter sports, fall colors, spring and summer by the lakeside. We’ll be back in another season. Spring, summer, fall, winter. New Hampshire has something for every season.